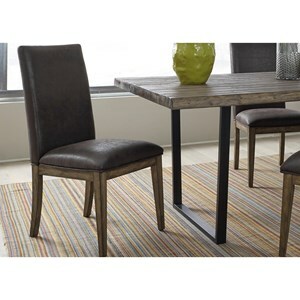 This side features a slatted designed back with an upholstered seat for comfort. Straight and tapered legs are also featured. 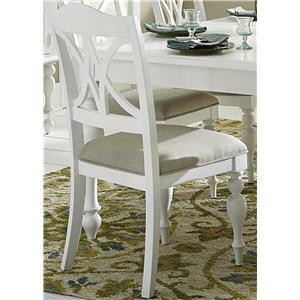 Pair with the stylish oval pedestal table for the perfect casual dining set. 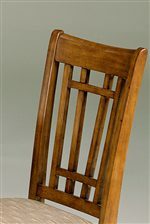 The Santa Rosa Mission Side Chair by Sarah Randolph Designs at Virginia Furniture Market in the Rocky Mount, Roanoke, Lynchburg, Christiansburg, Blacksburg, Virginia area. Product availability may vary. Contact us for the most current availability on this product. 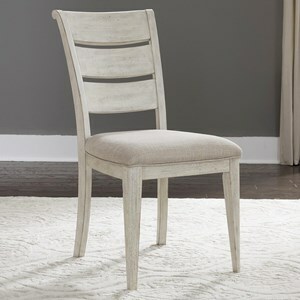 The Santa Rosa collection offers a choice of counter height and pub height dining with classic mission appeal. 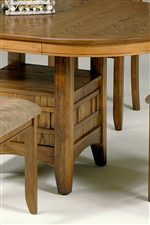 Each piece is made of select hardwoods and natural veneers completed with Mission Oak finish.The stylish Pub Table designed higher than standard tables offers a clear traditional oval shape. The Pub table features very functional and useful removable self-storage space in between the legs providing functional space and 1/18" Extension Leaf which extends the length up to 60". 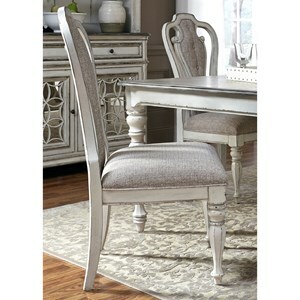 Santa Rosa dining room collection items' timeless charm is sure to provide a special atmosphere in any home! The Santa Rosa collection is a great option if you are looking for furniture in the Rocky Mount, Roanoke, Lynchburg, Christiansburg, Blacksburg, Virginia area. Slatted Design on Bar Stool Back. 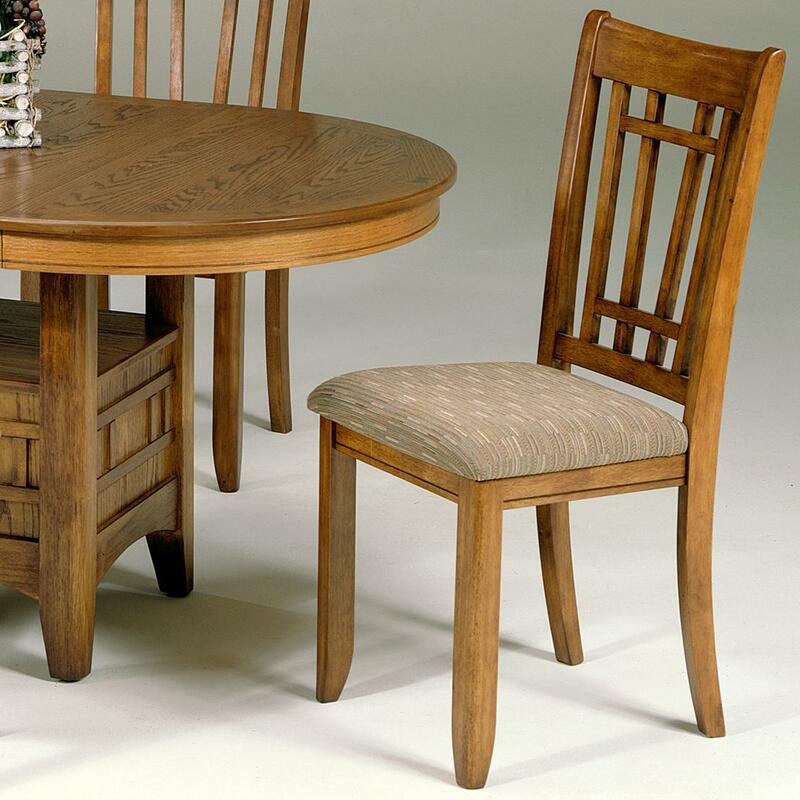 Browse other items in the Santa Rosa collection from Virginia Furniture Market in the Rocky Mount, Roanoke, Lynchburg, Christiansburg, Blacksburg, Virginia area.